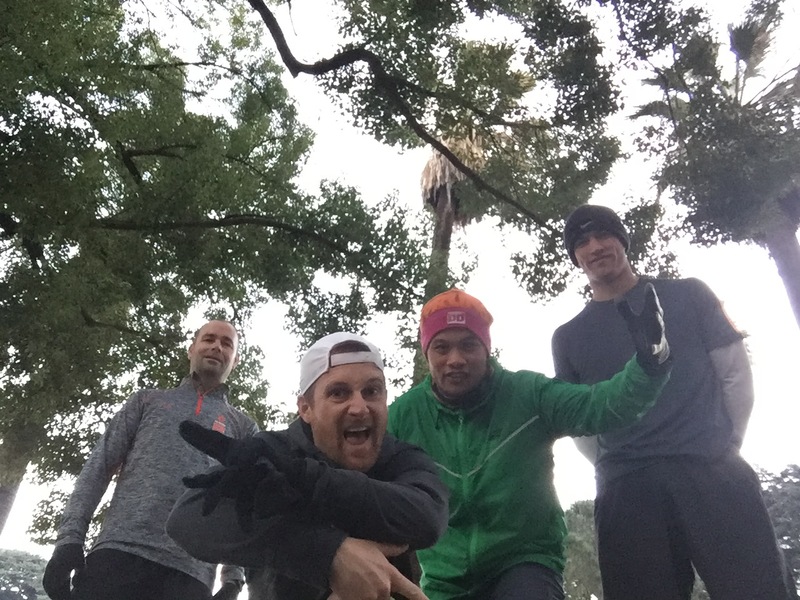 So the group started of strong with the 5:30AM and the 6:00AM run only groups that meet at 10th & N Street … but when the hard stuff started at 6:25AM on the west steps of the Capitol, only the strong survived it and were ballsie enough to stay for workout. Today’s strength workout was the 99 problems remix … yup 99 push ups, 99 sit ups , 99 squats, followed by some running … then adding on with the extended version of 100 step ups and 100 tricep dips … then it was all over BOOM. It wasn’t anything too fancy today but we got the $hi7 done in the 30 minutes on the west steps for the strength workout.